New Delhi : This week we saw Govinda’s grand comeback with Kill Dill. 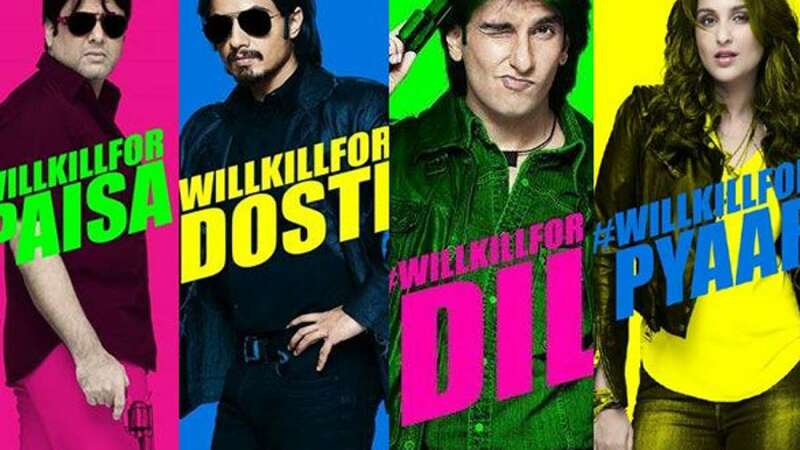 The film starred Ranveer Singh, Parineeti Chopra and Ali Zafar in the lead roles. Here is News Heads’ 10 point review analysis about the film. 1: The film is a perfect masala entertainer, which makes you re-live cinema of 90s. 2: Govinda’s negative role in the film can be its USP to bring audiences and also make script thrilling. 3: Action looked inspired from Jai Veeru, as most scenes one will see are on bikes rest are breaking walls via goons. 4: Parineeti Chopra is the new glam doll, who didn’t offer much in terms of acting but kept everyone starring at her. 5: The dialogues, some real heavy one, are mind blowing and many times force you to say – Waah! Kya baat hai. 6: Songs have a lot to offer, wide varieties cater all genres to make it worth watching. 7: Story of the film is predictable and might kill essence of the film. 8: Ali Zafar’s attempt to revamp his image as a goon goes very average. 9: The only sad point is abrupt ending which will definitely disappoint you. 10: The film is a must watch for all Govinda fans. He is remarkable.